What better place to harness the sun’s power than right at the equator? After a successful test drive, the east African nation of Uganda will launch its first completely solar-powered bus, the Kayoola, later this month. The move marks a powerful first step in the pursuit of cleaner public transit. Developed by Kiira Motors Corporation, the Kayoola is powered by two batteries that store solar energy derived from panels installed on the roof. Its range is 80 kilometers (50 miles), which means it will be utilized for inner-city use for the time being instead of more distanced travel. 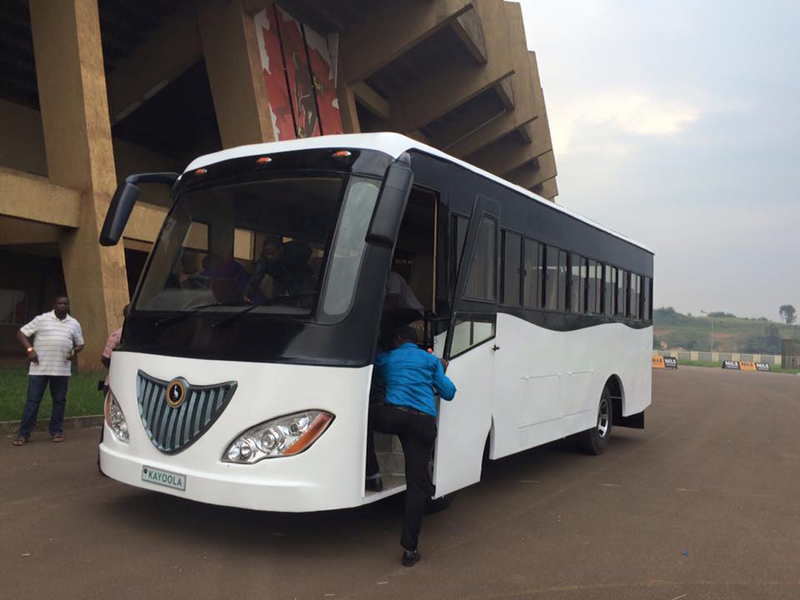 The 35-seater is set to launch for public use on February 16. Paul Isaac Musasizi, Kiira Motors’ chief executive, told BBC he is “humbled” by the overwhelmingly positive reaction to the innovative vehicle. The corporation hopes to generate jobs as the Kayoola moves toward mass production. While the company still relies on importing parts for the bus’ production, the goal is to be able to produce all their own parts locally and become self-sustaining by 2039. If it's a solar-powered electric bus, why is it so noisy? Anyway, great initiative! The Kayoola bus is east Africa's first solar-powered form of public transportation.